Just seven days after Andre Ward and Carl Froch battle in The Final of the Super Six World Boxing Classic, undefeated IBF Super Middleweight Champion Lucian Bute will headline on Showtime Championship Boxing when he makes the ninth defense of his 168-pound title against ageless former world light heavyweight champion Glen “The Road Warrior’’ Johnson on Saturday, Nov. 5, live on Showtime at 9 p.m. ET/PT, delayed on the West Coast from Pepsi Coliseum in Quebec City, Canada. A gifted Romanian-born southpaw, Bute, 31, returns to his adopted home of Canada – after a fourth-round knockout over previously unbeaten, No. 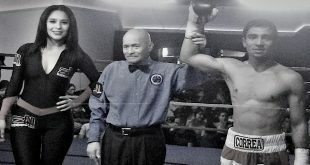 1-ranked Jean Paul Mendy last July 9 in Romania – with an unblemished record of 29-0 with 24 KOs. The remarkable Johnson, 42, of Miami, Fla., is an 18-year veteran known for always giving his absolute best and fighting in an opponent’s backyard. This will be the 10th appearance in a world title bout for the Jamaican-born Johnson (51-15-2, 35 KOs). 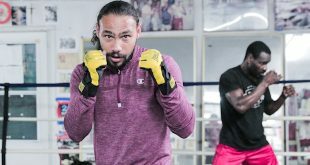 “If there is one man who won’t be intimidated by the droves of fans who come out to see Lucian fight, it is Glen Johnson,” said Ken Hershman, Executive Vice President and General Manager, Showtime Sports. This past March 19, the 6-foot-2 ½-inch Bute scored two knockdowns en route to a 10th-round technical knockout over a determined Brian Magee at the Bell Centre in Montreal. In his 2008 Showtime debut, Bute retained the IBF belt on ShoBox: The New Generation with a lopsided 12-round decision over Librado Andrade in one of the most controversial and talked about final rounds of the last decade. Bute signed a multi-fight deal with Showtime in November 2010. Two starts ago, the 5-foot-11 Johnson earned the shot at Froch by scoring an eighth-round TKO over Allan Green in Group Stage 3 of the Super Six on Nov. 6, 2010. 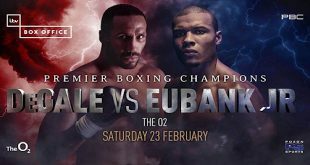 Johnson, making his first start at 168 pounds in 10 years, replaced the injured Mikkel Kessler and looked fantastic in his super middleweight return. Despite being the challenger in the Nov. 5 fight, Johnson’s resume boasts a far more impressive roster of opponents than Bute’s. 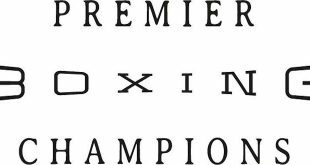 The always-game Johnson has been in the ring with Bernard Hopkins, Tavoris Cloud, Chad Dawson and owns victories over future Hall of Famers, Roy Jones Jr. and Antonio Tarver.